The Sogetsu School of Ikebana promotes a distinctive style of flower arranging. Macy's celebrates ikebana, the traditional Japanese art of flower arranging, during an exhibition in the Special Events Room on the third floor of the Ala Moana store from 10 a.m. to 9 p.m. today and tomorrow, and 10 a.m. to 4 p.m. Sunday. The free exhibition features sogetsu artist Carole Sakata's "1001 Cranes," large installations and freestyle works as an expression of good luck. The Sogetsu School of ikebana encourages individuality and imagination while respecting space, balance, color and movement. For more information, call 945-5894. Drive around in a BMW tomorrow -- pretend it's yours and amaze your friends, old girlfriends, jealous co-workers ... all for a good cause. 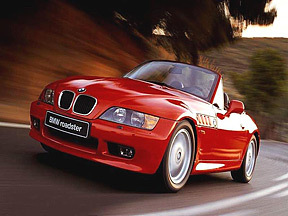 BMW of Honolulu will donate $1 to the Susan G. Komen Breast Cancer Foundation for every mile driven in its dream cars -- the 3, 5, 6, 7 Series, the Z4 Roadster, X3e and X5 SAV. You must register in advance for "The Ultimate Drive," offered from 10 a.m. to 5:30 p.m. at BMW of Honolulu, 777 Kapiolani Blvd. Call toll-free 877-4-A DRIVE or visit the Web site www.bmwusa.com/BmwExperience/EventsandPrograms/UDSK. Tickets go on sale tomorrow for concerts featuring isle favorite Chris Isaak, left, and veteran punk outfit No Use for a Name. NUFAN plays Sept. 29 at Pipeline Cafe. Tickets are $20 general and $40 for VIPs. 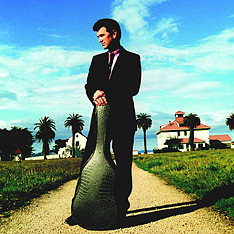 Isaak performs Oct. 21 at the Blaisdell Concert Hall, with tickets ranging from $40 to $80. Tickets will be available at the Blaisdell Center box office, all Ticketmaster outlets including Times Supermarkets, charge-by-phone at 877-750-4400 and online at ticketmaster.com. 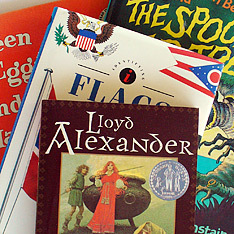 Starbucks Coffee stores are collecting new and gently used books through Aug. 31 for the company's All Books for Children book drive. Books for all age levels are welcome. The goal is to collect 6,500 books. Among beneficiaries will be Read Aloud America (Oahu), Hui Malama Learning Center (Maui), "Ready, Set, Read" (Big Island) and Read to Me International's prison library project (Kauai).